Throughout history, gambling has always been thought of as a ‘vice’. This is because; if one doesn’t gamble responsibly then gambling can significantly affect you, and those who are around you. Online gambling comes in many different forms. You can for example compare the best forex brokers and trade online or simply if you are into the world of igaming, than that would be an option for you. Online casinos have made gambling much more accessible, which means that you don’t have to go very far to be affected by it. But there are tips that you can use to ensure that you always gamble responsibly. Don’t visit online casinos while at the workplace. Like all hobbies, gambling is something that you do in your spare time. If you find yourself visiting gambling sites while at work, this is an indicator that your gambling has become (or is becoming) compulsive. The dangers of compulsive gambling are known to all. 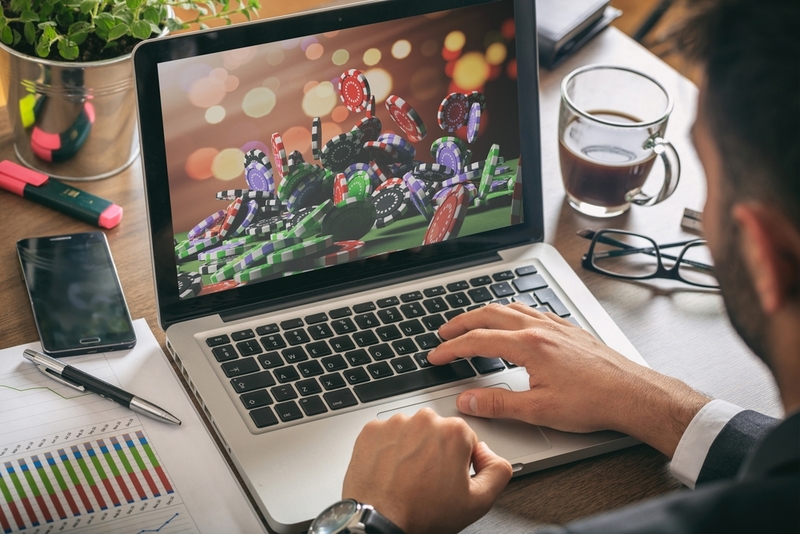 Apart from the likelihood of you loosing large amounts of money through compulsive gambling, it might be against company policy (and it is for most organizations) to visit online gambling sites while at work. This might lead to punitive actions being taken against you, your career prospects being damaged or even having your employment terminated – especially for repeat offenders. Even if you are self employed, or if you work from home, never visit gambling sites during your ‘working hours’. Don’t gamble with money that is allocated for other expenses. One of the rules of gambling is that you should never gamble with money that is needed elsewhere. This includes money that had been earmarked for savings. Gambling should be treated as any other hobby. A musically included person would never use their rent money to purchase a new guitar or to rent out some space to practice in, and neither should you. Responsible gambling is all about being able to indulge in your hobby without affecting the overall quality of your life. Never gamble when you are emotionally fragile. Gambling involves money, which makes it a very sensitive (and sometimes dangerous) hobby to indulge in. any decisions involving money should never be made when one is in an unstable emotional state. You should never budget or make a big purchase when you are emotionally fragile, and neither should you log into your online casino. This is especially true if you are hurting from a loss in your life or if you have overindulged in a mind altering substance (drugs, alcohol and some prescription medication). Within such a state, you might make bad decisions that would affect your long term financial security. Only gamble when your head is clear. Don’t consider gambling a source of income. While you might gain some advantage through skill, or even experience, gambling is a game of chance. No matter how skilled a poker player you are, your likelihood of winning is always dependent of the cards you are dealt. There is no guaranteed win in gambling, and you should never consider it to be a source of income. Gambling should be something you do in your spare time. You shouldn’t ‘invest’ some money in your online casino account in order to ‘earn’ your rent for the month.